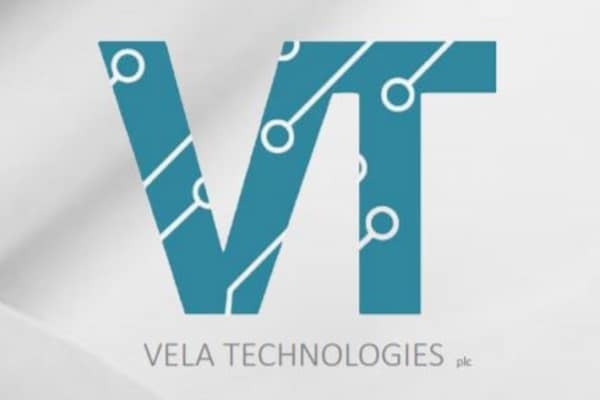 Vela Technologies (LON:VELA) Investment in StreamTV Networks Inc.
Antony Laiker, Executive Director of Vela, commented: “Last week’s announcement of the partnership between StreamTV and BOE, the number one panel manufacturer globally, should be seen as a landmark transaction for StreamTV and a strong endorsement of its Ultra-D technology. This further investment in StreamTV provides investors in Vela with a shareholding that, following commercialisation and a liquidity event, will carry a highly geared warrant exposure on top of the total cash investment of $200,000. Investment in StreamTV Networks Inc. The Board of Vela (AIM: VELA), the investing company focused on early stage and pre-IPO disruptive technology investments, announces that it has entered into a subscription agreement to invest $100,000 into StreamTV Networks Inc. (“StreamTV”), an existing investee company, as part of a proposed private funding round of $30 million currently being undertaken by StreamTV (the “Investment”). StreamTV is the developer and manufacturer of one of the world’s leading glasses-free 3D display technologies. Its 3D display technology is compatible with all screen sizes and all content, both pre-existing and newly created. StreamTV offers its technology as a component to existing brands for inclusion in their television, monitor, tablet and phone devices. StreamTV will use the new funding for general corporate purposes, including bringing StreamTV’s technology to mass market. Vela has today entered into a subscription agreement with StreamTV whereby it has agreed to invest $100,000 in StreamTV from the Company’s existing cash resources. Vela has subscribed for 66,666 Class A Common Stock in StreamTV at a price of $1.50 per share. In addition, in recognition of Vela’s existing shareholding in StreamTV, Vela has been issued a total of 333,335 warrants (equivalent to approximately 5 warrants for each Class A Common Stock subscribed for) exercisable at a price of $1.50 per Class A Common Stock, vesting in the event of a liquidity event at StreamTV and exercisable for five years from the date of issuance. Vela’s investment has completed and is unconditional. In June 2016 Vela was issued 47,898 Class A Common Stock in StreamTV, following the early loan conversion of the $100,000 Convertible Promissory Notes in StreamTV plus $43,693.16 of interest. The conversation price was $3.00 per Class A Common Stock. Following the Investment, Vela has now invested a total of $200,000 in cash in StreamTV in two funding rounds. Following completion of the Investment, Vela owns 114,564 Class A Common Shares in StreamTV equivalent to approximately 0.19 per cent. of the issued share capital of StreamTV and 333,335 warrants.